We just got an update about Transformers: Age of Extinction. 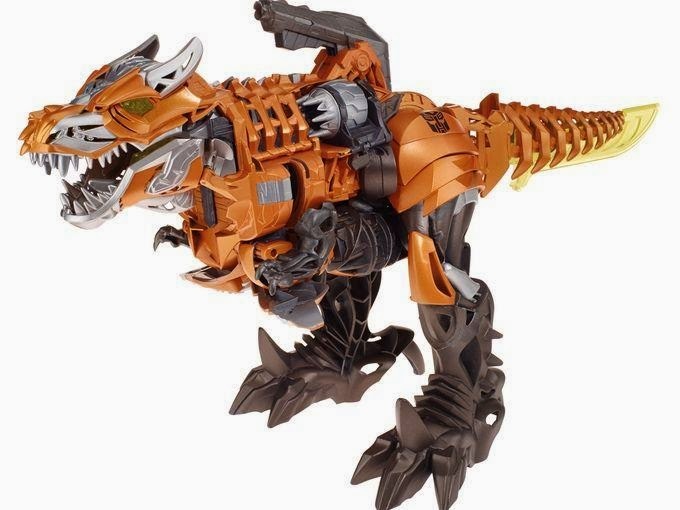 We got an official image of the Transformers Toys for Grimlock on both Dino and Robot mode. And he is revealed to be a giant Samurai Armor. 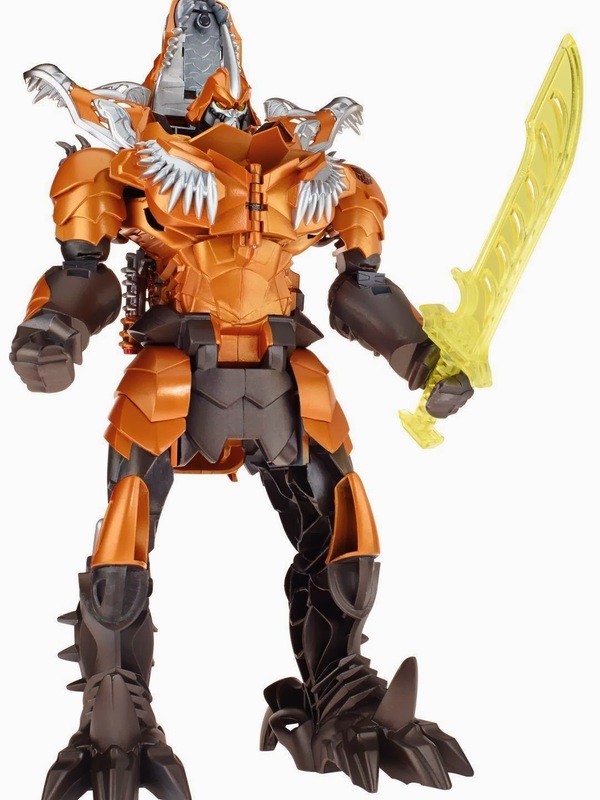 Not really sure if I'm digging the idea of making Grimlock a Samurai but I can't also deny the fact that he actually looks cool. We just need to wait for the official look in the movie since the toy version is a bit cartoony. Slated for a mid year release, to be distributed by United International Pictures through Solar Entertainment Columbia Pictures in Philippines. 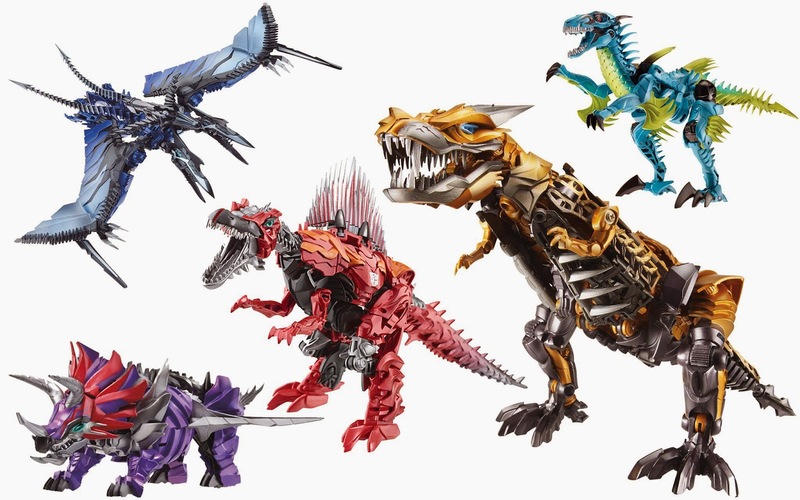 here are all the dinobots. both on dino and robot modes. As you can see the Grimlock robot mode I just added has a different mold. So this is definitely a different line that the first pic I shared. 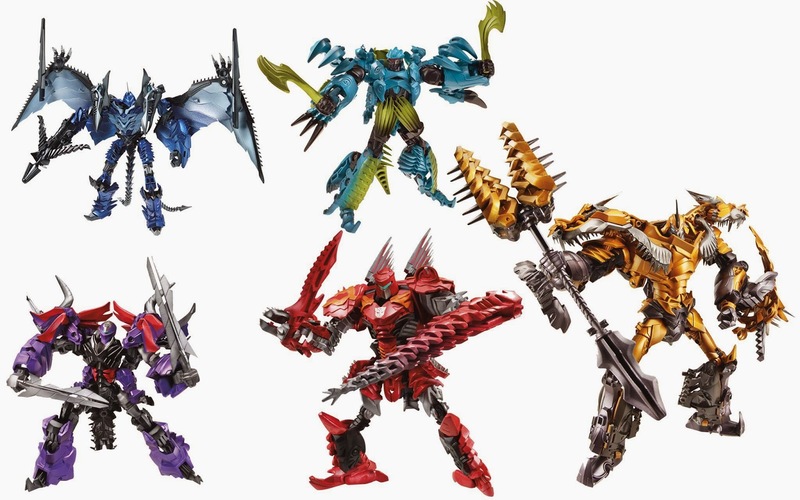 This is definitely for adults only because of the spikes and it looks like it has a more complicated transformation process. Personally speaking, I like it. Japanese Samurai? More like a Mongol hordesman if you ask me.